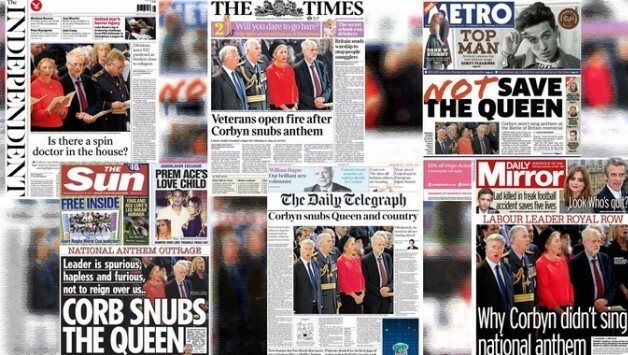 The furore over revelations in Lord Ashcroft’s biography of Prime Minister David Cameron has temporarily driven attacks on Jeremy Corbyn from the front pages of the mainstream media – though only to the inside pages! But accusations about upper class debauchery in Cameron’s student life, as well as that he knew about Ashcroft’s tax-dodging non-dom status, serve to highlight why so many working class people have rallied behind Corbyn. He is seen to represent a different kind of politics. And the more the press attack his off-centre ties and his lack of adherence to ’tradition’, the more firm his support becomes from those who are sick of establishment drone politicians. To ensure the anti-austerity politics that have won Corbyn such support are not imprisoned with just a few isolated individuals within the Labour Party leadership, his supporters must get organised. This means a movement built in every town and city of the country and both inside and outside the structures of the Labour Party. Such an approach can appeal to the mass of working class people and take the first steps towards developing a party for the millions, not the millionaires. The possibility of a left-wing Labour leader becoming prime minister at the next general election has sent many pro-capitalist commentators into a frenzy. Jeremy mustn’t retreat in the face of this onslaught but should make a bold appeal to the over 250,000 people who elected him and his supporters beyond them, to ensure he has the necessary back-up to stand firm on his policies. One of the attacking mantras is that a Corbyn-led Labour Party is unelectable – in a seeming attempt to repeat it enough times to make it a truism. Some even go to the extent of trying to appeal to anti-austerity sentiment by declaring that so unelectable is Corbyn, his presence as Labour leader means that the Tories will have a secure ten year run and will be able to inflict all manner of further attacks on the working class. When opinion polls showed that Labour had slightly increased its support in the electorate since Corbyn’s victory, commentators – after just one week of Corbyn being leader – rushed to trumpet that the increase was too small to win a general election. But these ’assurances’ didn’t stop a serving army general from raising the spectre of the army chiefs defying a democratically elected left Labour government. “The general staff just would not allow a prime minister to jeopardise the security of this country and people would use whatever means possible, fair or foul, to prevent that”, he was widely reported as threatening sinisterly. The class interests behind all the dire warnings were touched on in a relatively hidden inner page of a Financial Times ’money’ supplement by Jonathan Eley, where he bluntly wrote that Jeremy Corbyn will be “a disaster for your finances” – i.e. for the wealthiest in society. While Corbyn advocates Quantitative Easing (QE) for ’the people’, Eley sheepishly quoted the chief executive of Legal & General describing the QE that’s actually been carried out, as: “a policy by the rich, for the rich”. Far from being unelectable, the anti-austerity and other policies Corbyn puts forward would be massively popular, not just in the working class but also among middle class people whose sons and daughters are struggling to get by faced with the housing crisis, low pay, student debt, etc. Corbyn’s longstanding anti-war position is very popular, especially with the catastrophic consequences of the wars on Afghanistan, Iraq and Libya now being clearer than ever. Yet shadow ministers Lord Falconer and Hilary Benn – newly appointed by Corbyn – stated openly that they are seriously considering giving backing to Cameron to bomb Syria. Falconer also threw in a long list of other issues on which he disagrees with Corbyn. Many Labour MPs either refused to be part of Corbyn’s shadow cabinet or made no secret of giving ultimatums that they would only do so on the basis of sticking to previous policy; demands which included campaigning to stay in the EU. Shadow education secretary Lucy Powell has declared that privatised schools in the form of academies and free schools will remain, but with some local accountability added. Meanwhile, according to the Sunday Times: “senior figures on Corbyn’s front bench were phoning each other to discuss who the next leader of the party should be”. But they were struggling to think of anyone who isn’t too utterly discredited and unpopular! Attacks on Jeremy Corbyn were also coming from other directions within Labour. When interviewed by Sky News, former Labour home secretary Charles Clarke questioned whether Corbyn will still be Labour leader in 2020 and said the party would be working on “its own proposals to try and ensure that we can contest the Tories effectively at the next election”. Sadiq Khan, Labour’s candidate for London mayor, said he will be “the most business-friendly mayor of all time”- no lessons learnt here from ’business-friendly’ Andy Burnham’s fate in the Labour leadership contest. Khan made a point of opposing any increases in corporation tax, even though the Tories have slashed it; and he called Corbyn – who is a lifelong republican – “disrespectful” for not singing the national anthem. Huge pressure to water down their pledges is being piled on Corbyn and his shadow chancellor John McDonnell from almost every establishment quarter. To try to beat them down, they’re declared to be ’barmy’, unrealistic purists, dinosaurs from the past, along with other, more brutal, insults. Fearing the mass pressure that could be exerted in a left direction on a Corbyn-led government, the City of London finance elite has, according to the FT, “embarked on a charm offensive as concern amounts over the anti-capitalist policies of Jeremy Corbyn’s top team …Policy briefings and one-on-one meetings with City figures have been offered to Mr Corbyn…and John McDonnell…”. In the Guardian, Jonathan Freedland waded in with: “…individual purity is an impossible luxury for a leader. Suddenly you have to speak for everyone, not just yourself”. But his term ’everyone’ is an attempt to push Corbyn to shift more towards the interests of the ruling class and away from those of the overwhelming majority of people who have an enormous amount to gain from a left-led government standing firm on its policies. Since the start of the leadership election campaign 150,000 new members, enthused by Jeremy Corbyn’s policies, have joined the Labour Party. Millions more are talking about what’s happening and hoping that parliamentary politics may be changing in their favour. Unfortunately, under huge pressure from MPs who represent the interests of the capitalist ruling elite, Jeremy has already made some big retreats, including acquiescing to a joint letter with Hilary Benn that asserts that Labour will campaign to stay in the EU. John McDonnell, having previously argued for a 60% top income tax rate, has for now dropped that to 50% (it went as high as 83% in the 1970s under then Labour chancellor Denis Healey). John has also assured the capitalist class and finance industry that he will uphold the Bank of England’s independence. But the agents of the media barons shouldn’t judge prematurely. The tremendous groundswell of anger and disillusionment with capitalist politics that propelled Corbyn into the Labour leadership certainly hasn’t evaporated. If Corbyn and McDonnell set about drawing into political activity in a democratic, organised form, the vast force of working class and middle class people who want an end to the austerity attacks, they will have ample backing to push on with anti-cuts, anti-poverty and anti-war policies. The Observer reported John McDonnell as saying that he and Corbyn “will not impose their own ideas on the party but will adopt a big tent approach to policymaking”. An important question is, who will be in in this tent? John suggested in that same interview that it would be ’all Labour MPs and party members’, but then who will have the decisive voice? The Labour Party was originally created to be a political voice for workers in the trade unions and not as another pro-big business party of capitalism. While the party has always suffered from pro-capitalist individuals and groupings at its top, the Blairites, Brownites and Milibandites carried this hijacking of Labour to a higher stage. The verdict on that process, from the present party grassroots and new influx, was clearly shown in the relatively low leadership contest votes for Kendall, Burnham and Cooper. Rather than making concessions in the name of ’party unity’ (a unity presently impossible) to those who are trying hard to shift them onto a path of accommodation and surrender, it is essential that Corbyn and McDonnell stand firm and rapidly further develop their support base. Labour is now effectively two parties in one, a scenario that cannot last indefinitely. As the Socialist has argued in previous editorials, a new formation that acts in working class interests can be created out of the present fluid situation. This could be through the small number of genuine left Labour leaders and those who support them in the grassroots of the party – aided by a continued influx of new members – managing to drive out or completely sideline the pro-market right. Or, if that path meets a dead end, it could be by building a new formation that would attract that same layer from Labour, again together with many thousands more who are presently outside Labour. While most of the career-minded Labour MPs focus on fretting about the 2020 general election and their chances of re-election, there is much work to be done to counter the vicious attacks of the Tory government, including the fast approaching draconian tax credit cuts and the anti-trade union bill. The Tories don’t have to be allowed another five years in power, never mind ten. The combined and organised might of the anti-austerity movement, inspired by the pro-Corbyn surge and given industrial muscle by the six million-strong trade union movement, has the power to force the Tories to backtrack on austerity and even to resign from office, notwithstanding the fixed term parliament act. Then, Jeremy Corbyn and John McDonnell – if they have managed to throw off the shackles of Labour’s right wing through one path or other – can help bring a left workers’ party to government power. And their genuine desire to place policy decision-making at the level of grassroots democracy and have accountable leaders can be realised, along with concrete steps towards a socialist alternative. Next article¿Por qué necesitamos una educación superior pública y gratuita ya?